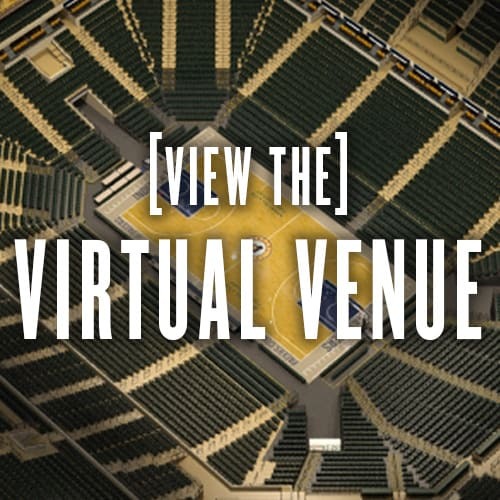 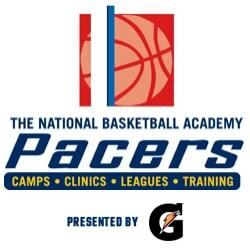 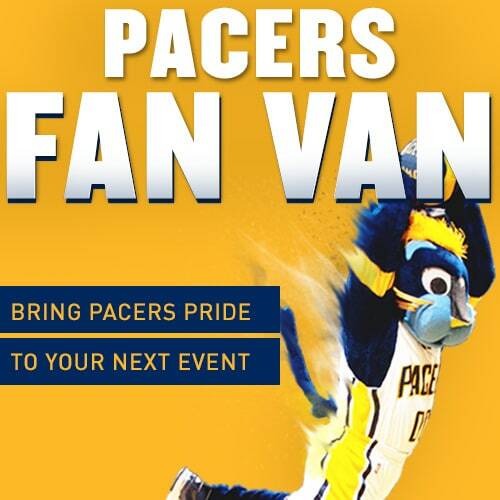 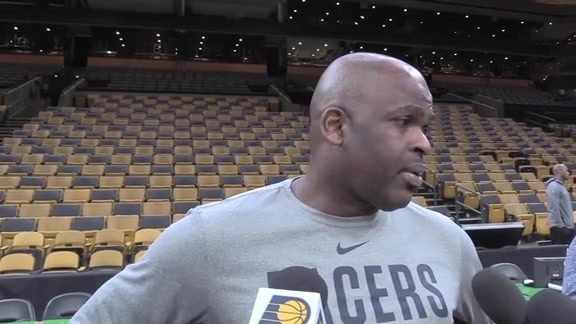 April 18, 2019 - After a tough loss in Game 2, Pacers head coach Nate McMillan and team captain Thaddeus Young talked about what causes the offense to stall and what can be done to prevent it in the future. 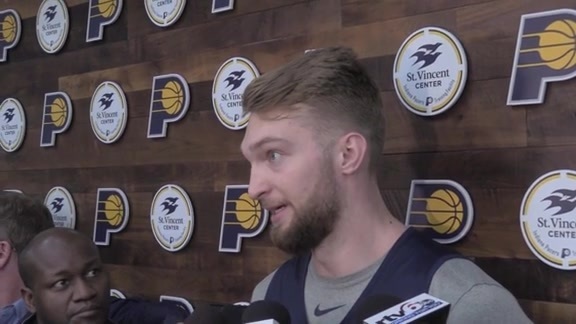 April 18, 2019 - The Celtics have limited Pacers sixth man Domantas Sabonis to just eight points over the first two games of their series, so Sabonis and his teammates discussed how to get him more touches. 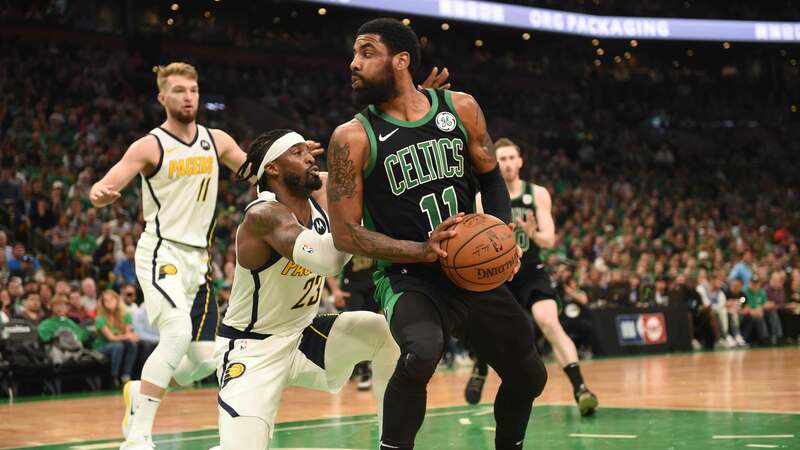 April 17, 2019 - After a tough loss to the Celtics in Game 2, Darren Collison, Wesley Matthews, Domantas Sabonis and Tyreke Evans shared their thoughts. 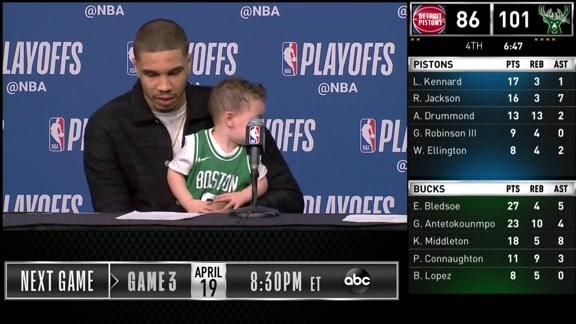 April 17, 2019 - Boston's Jayson Tatum discusses his team's hard fought Game 2 victory at home. 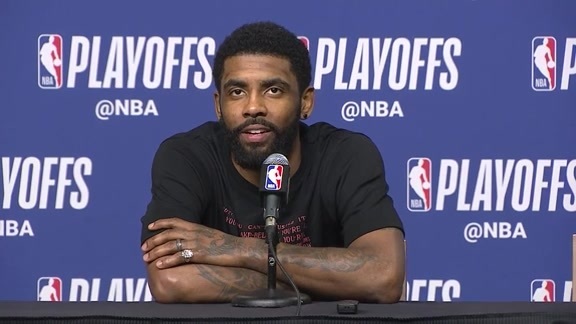 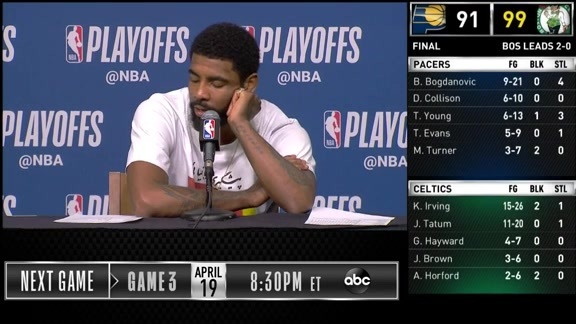 April 17, 2019 - Boston's Kyrie Irving discusses his team's hard fought Game 2 victory at home. 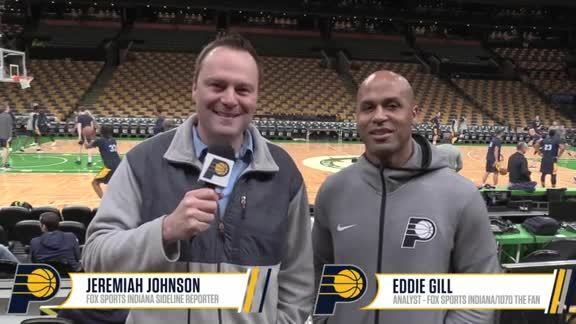 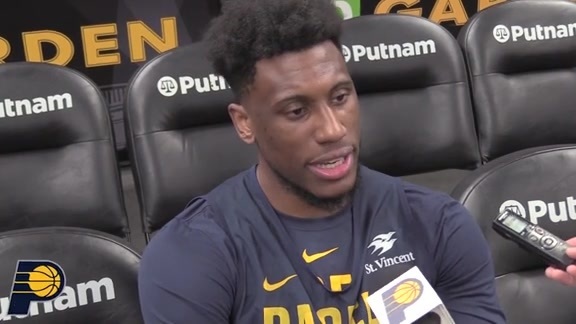 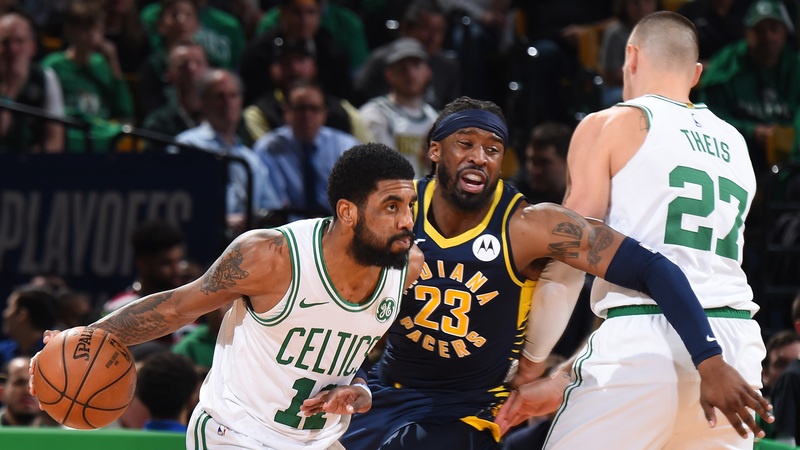 April 17, 2019 - Thaddeus Young discusses the Pacers' tough Game 2 loss in Boston. 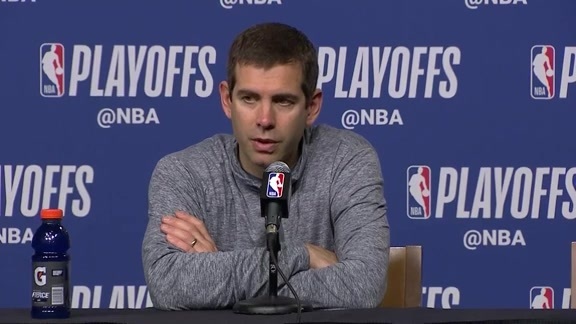 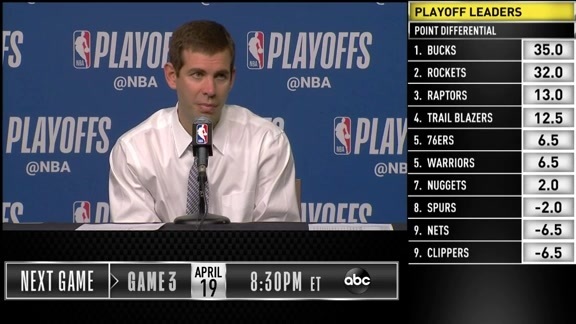 April 17, 2019 - Celtics head coach Brad Stevens discuss Boston's hard fought Game 2 victory at home. 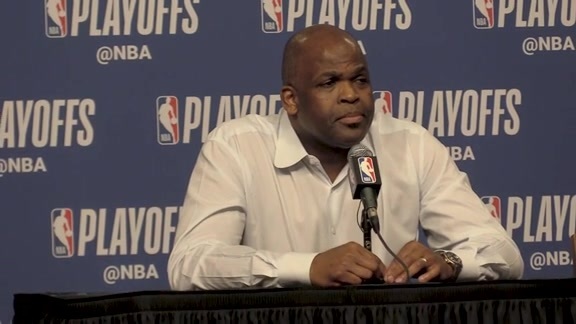 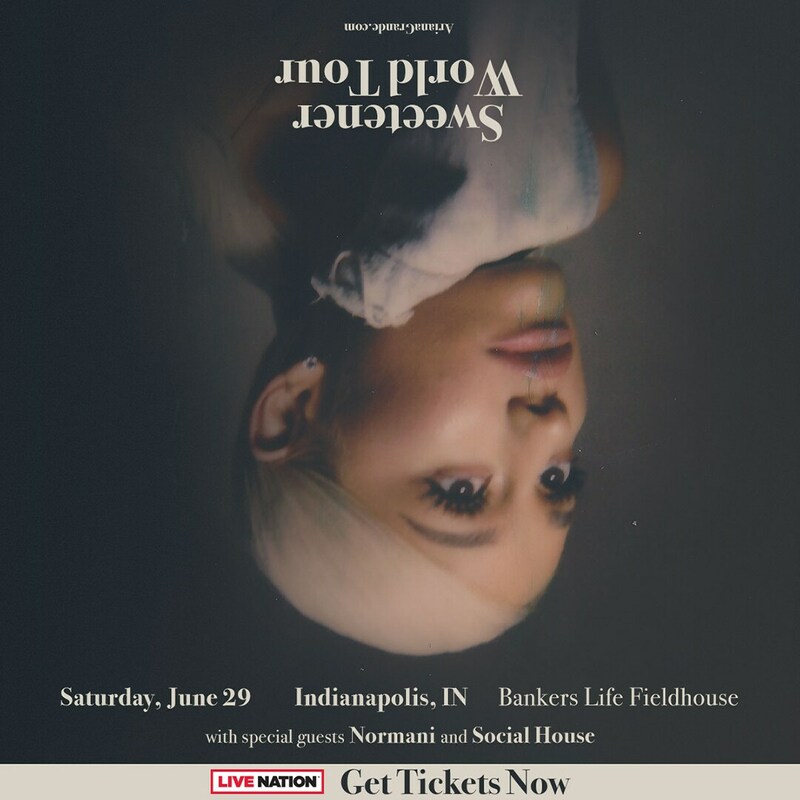 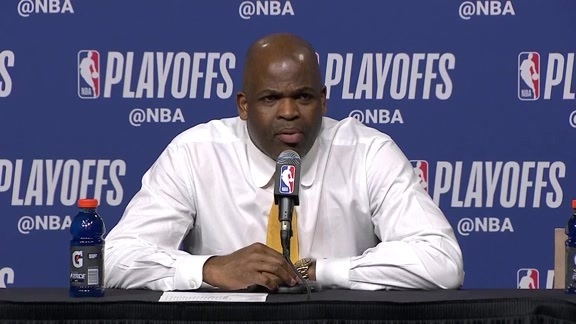 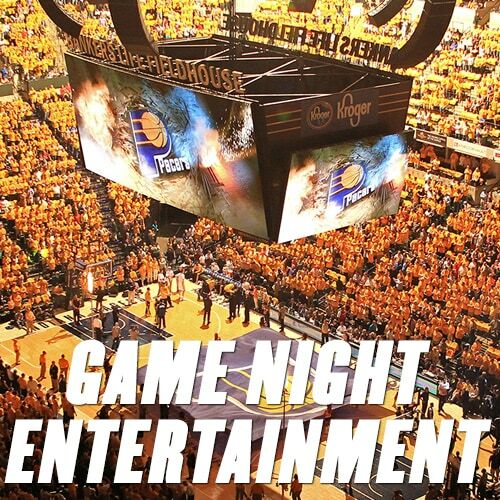 April 17, 2019 - Pacers head coach Nate McMillan discusses the team's tough Game 2 loss. 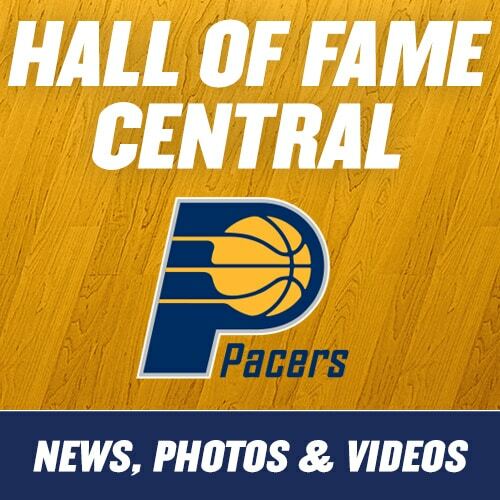 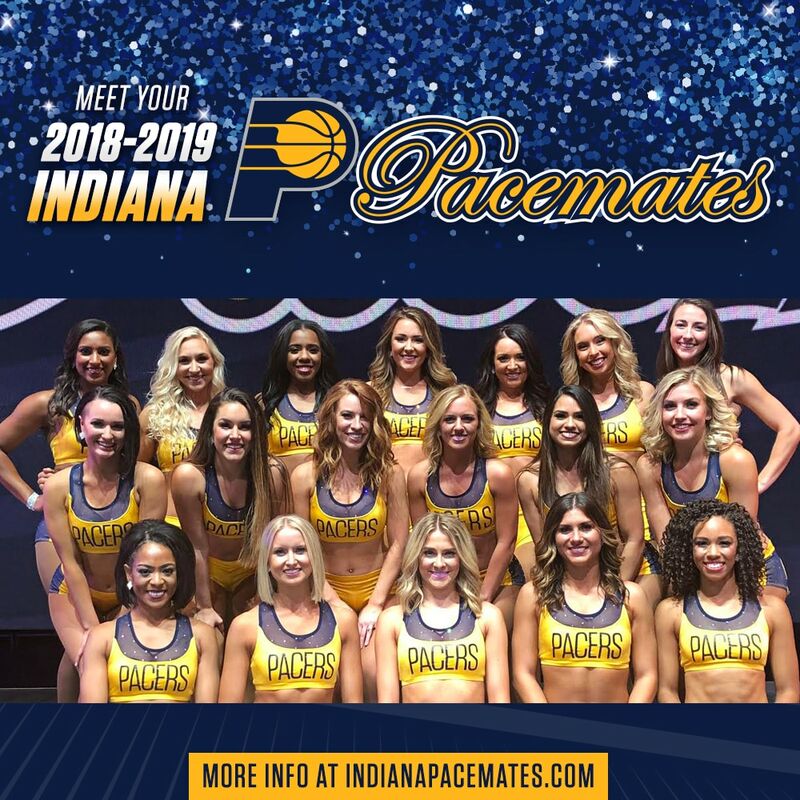 April 17, 2019: Bojan Bogdanovic makes a big 3-pointer for the Pacers. 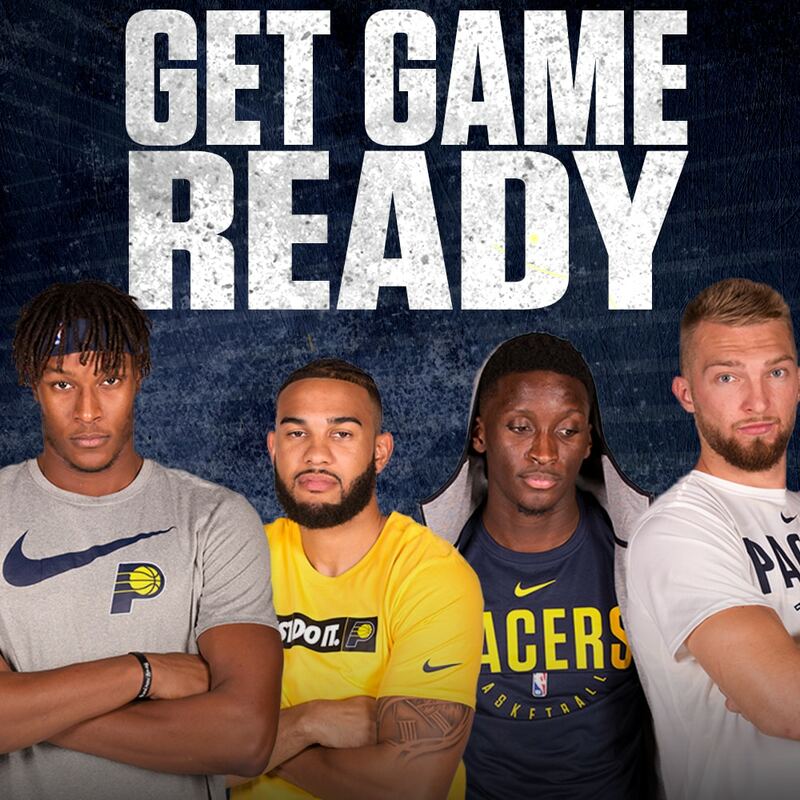 April 17, 2019: Domantas Sabonis finds Myles Turner for the slam. 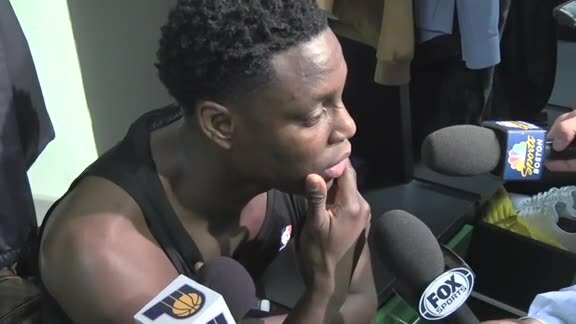 April 17, 2019: Darren Collison gets to the rim for the lay-in. 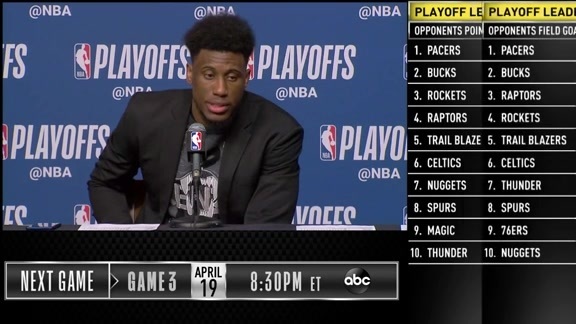 April 17, 2019: Thad Young gets the steal and finishes it on the other end. 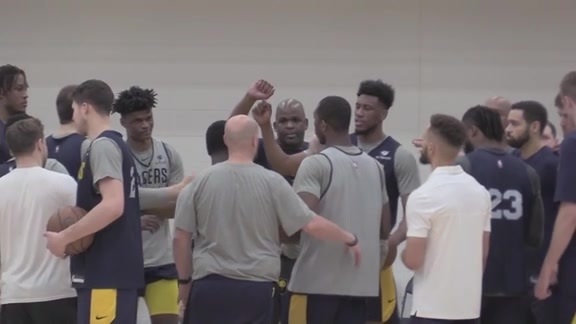 April 17, 2019: Aaron Holiday makes a circus shot. 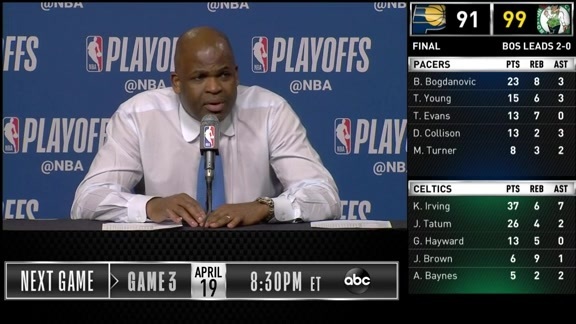 April 17, 2019: Tyreke Evans hits a deep triple before the shot clock expires. 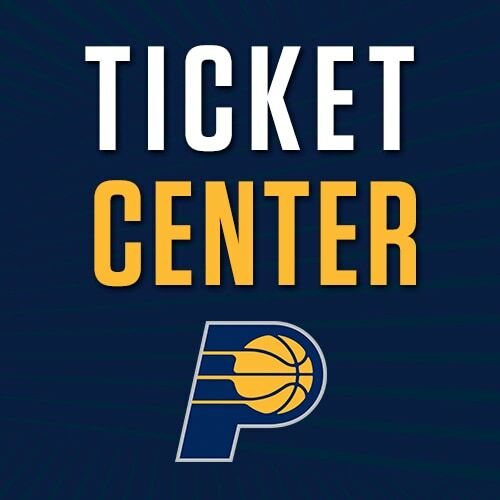 April 17, 2019: Bojan Bogdanovic gets the basket and the foul. 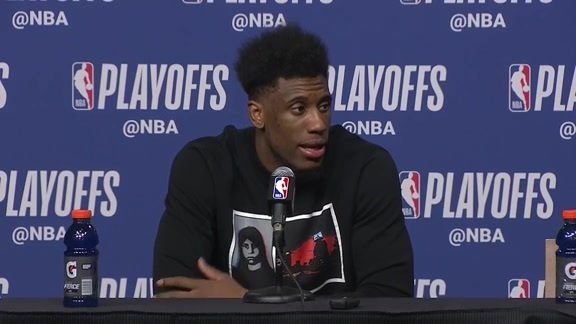 April 17, 2019 - Wesley Matthews finds Thad Young for the slam. 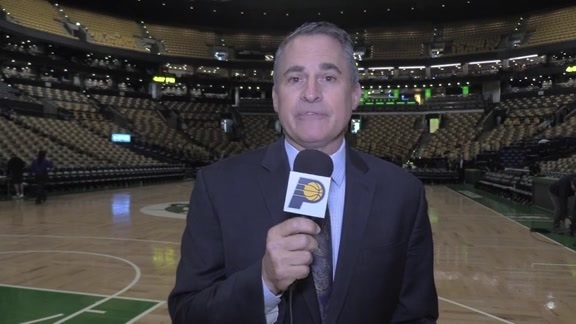 Chris Denari recaps Indiana's 84-74 loss to the Boston Celtics at TD Garden in Game 1 of their best-of-seven series.